A dark romance secretly blossoms from the life blood of a once broken heart. 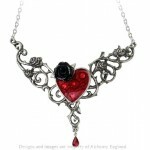 Stunning gothic necklace in fine pewter. Swarovski crystals sparkle beneath a bed of red enamel blood in the center of this elegant Victorian style Gothic necklace. Fine pewter with a crystal accent drop comes on a 20.5 inch split chain. Centerpiece is 4.41 inches wide, 3.45 inches wide. Item Number: AG-P721 | Approximate Size (Inches): 4.41 wide x 0.71 deep x 3.46 high | Approximate Shipping Weight: 0.25 lbs. Swarovski crystals glitter from beneath the bright red enamel. 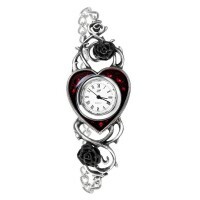 Amazingly detailed watch in pewter with a fine .. 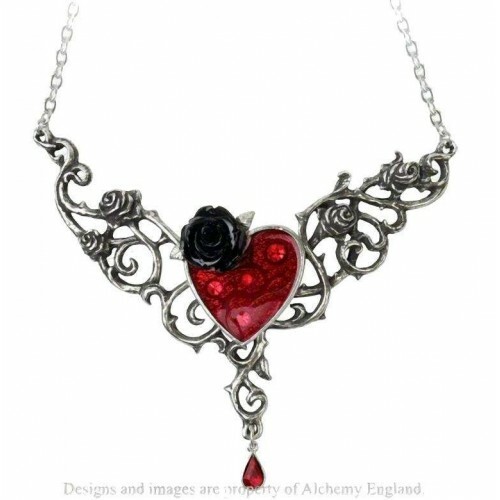 Unique piece by Alchemy Gothic in fine English pewter with surgical steel post - cannot really call it an ear .. 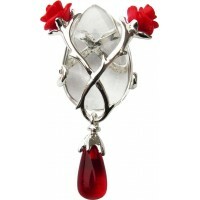 Pair of earrings made of the finest English Pewter with surgical steel posts by Alchemy Gothic. &..